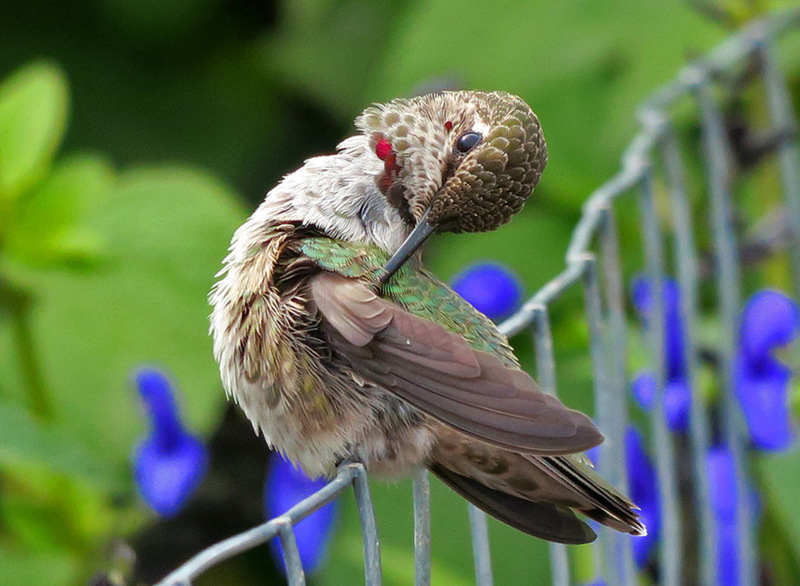 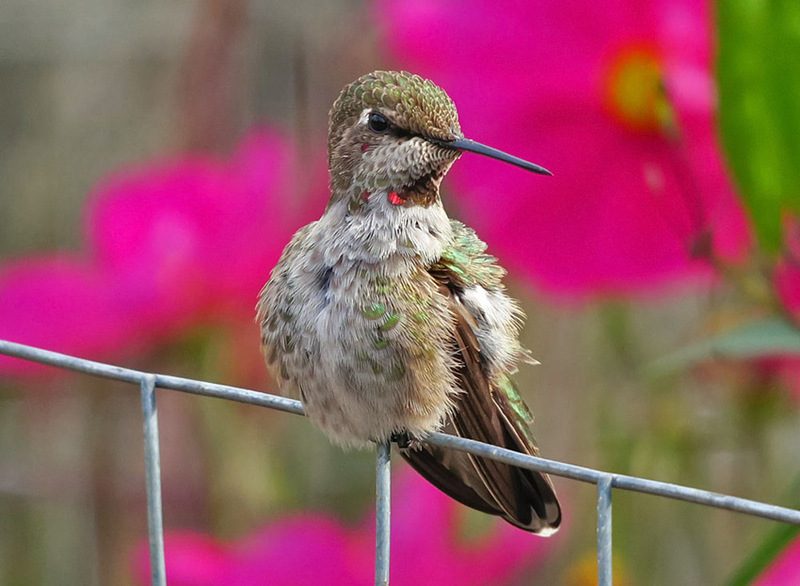 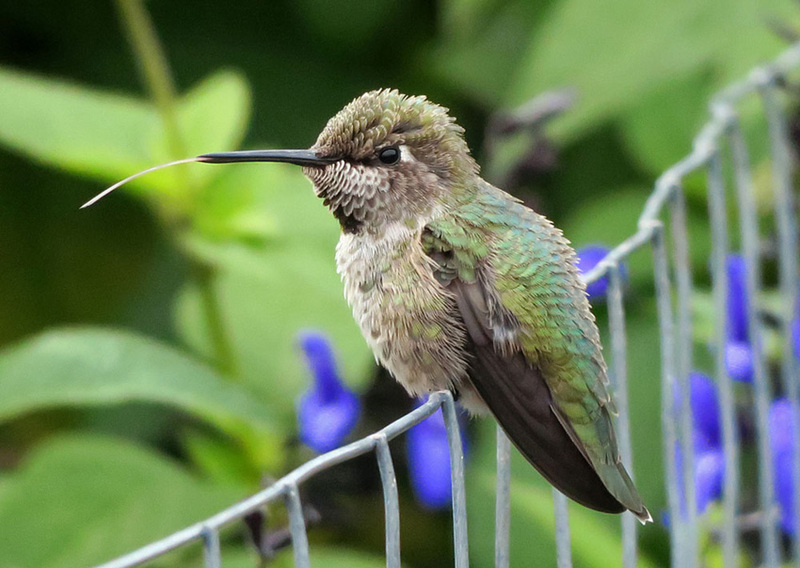 Living year round along the Pacific Coast of the US and into the Southwest, Anna's Hummingbirds are territorial, feisty little favorites at backyard feeders. 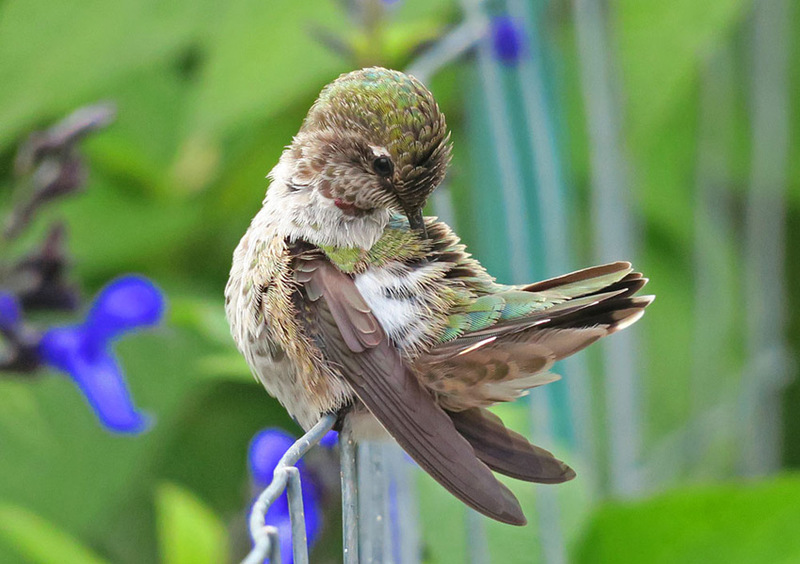 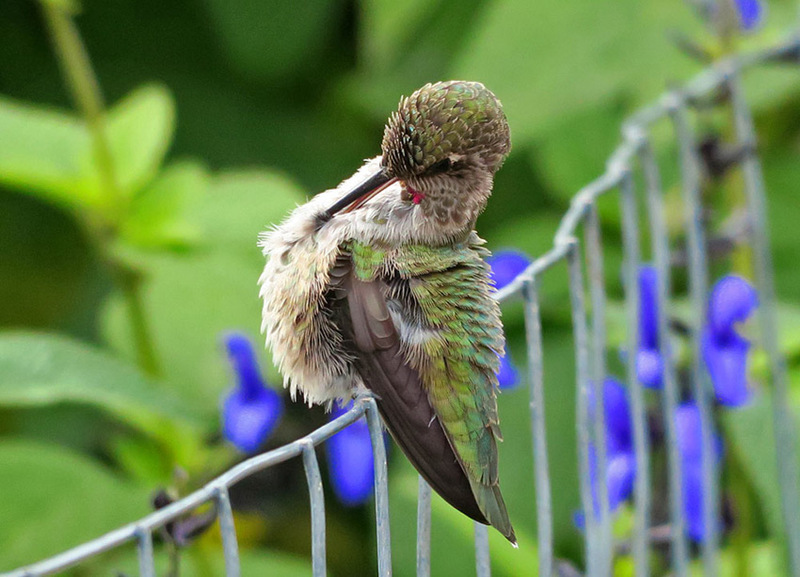 This female was photographed perched and preening by Mike Hamilton. 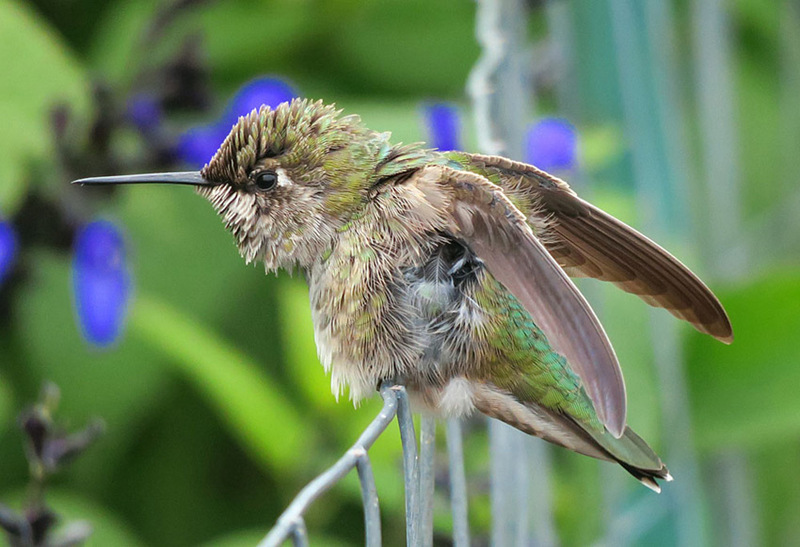 All photos are © Mike Hamilton and may not be used without permission.